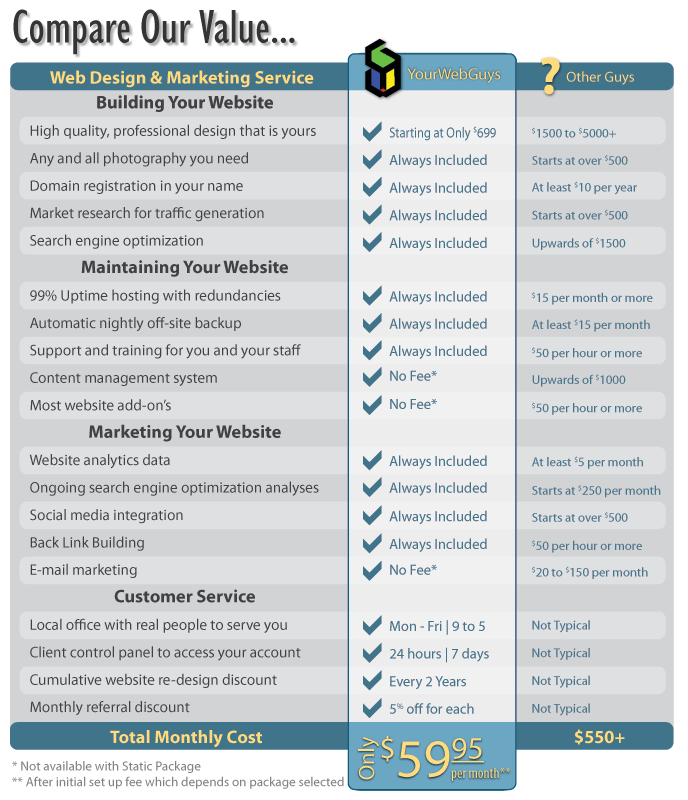 You may already have a website, but so does your competition. To be competitive in today's market it takes more than just having a website; you need a web presence. We will make you a professional web presence for one simple initial investment. We can have your unique site up and ready for traffic in as little as ten days. 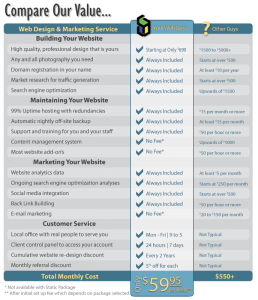 Once your site is complete we will host, maintain, and update it for you with one low monthly fee. That fee includes everything from updates to email to even marketing and search engine optimization. Keep reading to see exactly how we are better for your situation.